Mark D. Gibson grew up in the foothills of the Adirondacks in the picturesque village of Ballston Spa, New York. Slight of build and frequently teased, Mark purposely accelerated his education and graduated from high school at the age of 16 and joined the Air Force in 1986 at the age of 17. Like all enlisted Air Force recruits, Mark received his training at Lackland Air Force Base in San Antonio, Texas. He launched his military career in an administrative track which led to a role helping the Air Force innovate via technology. Mark later became a public affairs expert. In 20+ years of service, Mark moved more than ten times with stops in Biloxi, Cheyenne, Montgomery, Hampton Roads, London, Riyadh, Kuwait, and Kabul. Mark split his tenure equally with a decade as an enlisted man and a decade as an officer, a path he highly recommends. He retired as a Captain in 2008 after two tours in Afghanistan and returned home to adjust to civilian life after the physical and mental stress of the war theater. After a European backpacking adventure, Mark joined Booz Allen Hamilton as a consultant on the Yellow Ribbon Campaign (now the Wounded Warrior Project). The traffic of Northern Virginia/D.C., however, soon drove him to retreat to the more serene pace of Costa Rica. 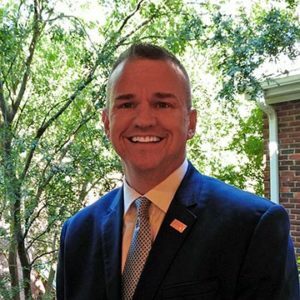 Three years later, Mark moved to Atlanta and took a job with the U.S. Small Business Administration (SBA) as the public affairs officer for the state of Georgia. Two years into this job, Mark found his calling when the “Many Faces, One Dream” – a new SBA economic empowerment outreach initiative for the LGBT business community – made a stop in Atlanta. He successfully lobbied for a national role, impressing the Associate Administrator for Field Operations with his public affairs expertise and enthusiasm. In 2014 Mark was awarded a promotion as the National LGBT Communications Director. Since taking over the communications efforts for “Many Faces, One Dream,” Mark and his team have broadened the campaign’s scope to include three pillars: Building the Dream (start-up and pre-venture), LGBT Business Builder (partnering with the National Gay & Lesbian Chamber of Commerce/NGLCC to scale existing businesses and increase LGBT certified businesses), and Connecting Communities (introducing LGBT Community Centers to local SBA district offices). As a result of these efforts, Mark and his team have increased LGBT entrepreneurs’ awareness of and access to SBA programs. In 2014, of the estimated 1.4 million LGBT-owned businesses in the U.S. only 125 were certified with the NGLCC. Two years later, as a result of the second pillar of “Many Faces, One Dream” initiative, this figure has soared to 925 certified LGBT businesses. Mark is proud to work for a federal agency that is promoting equity and is a vital part of President Obama’s mission to expand equality. Mark is an avid gourmet chef and loves to prepare meals for friends, family, and his partner Aaron. They have a dynamic partnership filled with travel, theatre, concerts (having met and danced with Patti LaBelle three times! ), and great meals. They split their time between homes in Savannah and Atlanta. Mark does not shy away from a challenge, and items do not stay on his bucket list for long. After being wounded in Afghanistan, Mark was told he would not live beyond the age of 45. Not only did he make it to birthday number 45, but he also celebrated it by completing the Lake Lanier Triathlon. In the hopper is a book entitled Served In Silence, a memoir of his service under the Don’t Ask Don’t Tell Policy. Look for it on the shelves in 2017. My first name came from Mark the Apostle. My middle names come both from an uncle and biblical David. I never really had a specific job or career field in mind as a youngster. I just knew I wanted to be great at whatever it was I did. It was not until my mid-teens that I figured out I wanted to be in the Military. I want to be a positive force in advancing the economic development needle for LGBT Equity and Equality. I would have liked to grow up in a time that encouraged true authenticity. “How to Win Friends and Influence People”…. I re-read it each time I take on a new job or position. Not enough time to match my energy for everything I want to do. Electronics in general, Sonos speakers of late.